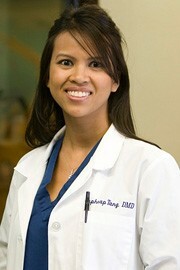 Dr. Tang received her Bachelor of Science from California Polytechnic State University, Pomona. In May of 2007. She graduated from Tufts University School of Dental Medicine where she received her Doctor of Dental Medicine degree, D.M.D. She also attended an externship at Inglewood Pediatric Neighborhood Health Clinic in association with UCLA and USC. In 2008, She completed an IV Sedation course from USC. Dr. Tang is currently an active member of the American Dental Association, affiliate member of the American Academy of Pediatric Dentistry, and the Academy of General Dentistry. She was a recipient of the 2007 American Association of Oral Biologists, Oral Biologist Award and a Ronald E. McNair Post-Baccalaureate Achievement Scholar. In her free time, Dr. Tang enjoys running, rock climbing and playing the guitar. He grew up in southern California and received his Bachelor of Science from University of California, Los Angeles in 2003. He went on to receive his Doctor of Dental Surgery degree from University of California, San Francisco in 2007. In June 2009, he completed a 2-year Pediatric Dentistry Residency at Schneider Children’s Hospital in Queens, NY. Dr. Shah serves on the faculty of both University of Southern California and University of California, Los Angeles Schools of Dentistry. As an assistant clinical professor at USC and lecturer in pediatric dentistry at UCLA, Dr. Shah works closely with training general dentists to become pediatric dentists. You will notice that his passion for teaching also carries over to his private practice patients. 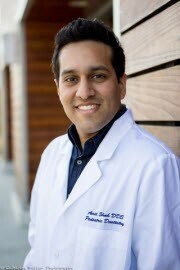 Dr. Shah completed his specialty board certification with the American Board of Pediatric Dentistry. Only a small percentage of pediatric dentists hold the board-certified Diplomate designation. Dr. Shah currently holds active membership with the American Academy of Pediatric Dentistry, American Dental Association, and California Dental Association. Having lived in Los Angeles, San Francisco and New York, Dr. Shah enjoys experiencing new cities, trying new foods, and playing tennis. Dr. Shah looks forward to meeting you and your children in the near future! Harbir Jhawar, DDS is so happy to be a part of A Tooth Fairy Dental. Here he enjoys putting children at ease with his positive spirit and relaxed manner. 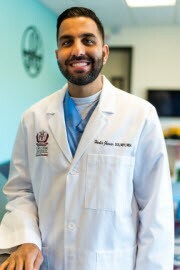 Dr. Jhawar completed his undergrad at La Sierra University and then earned his DDS from Loma Linda University School of Dentistry. • Honorable Mention, Dental Student Community Category, CDA Presents Table Clinic Competition Obesity and Dental Caries Among Children Aged 2-5 Seen at LLU School of Dentistry. With memberships to the American Dental Association, California Dental Association, American Academy of Cosmetic Dentistry, and the American Academy of Pediatric Dentistry, Dr. Jhawar is looking forward to helping set the stage for your child’s good oral health. Min Jung Jin, DDS is thrilled to be working along her peers at A Tooth Fairy Dental doing what she has always wanted to do: work with kids. Dr. Jin enjoys entertaining children with silly jokes, songs, and stickers. 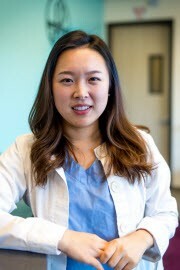 Dr. Jin received her undergrad in Human Biology from University of California, San Diego and then earned her DDS from Loma Linda University School of Dentistry. Dr. Jin counts some of her most rewarding work to be mission trips in Honduras and Mexico and serving the underprivileged in Redlands, CA through volunteer dental services. Dr. Jin is honored to be entrusted with the care of your children’s teeth and takes care of all of her patients as if they were her own. 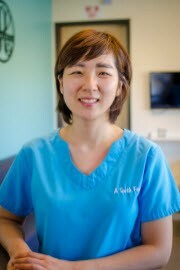 Grace Roh, DDS has a heart for children and enjoys caring for them daily at A Tooth Fairy Dental. Dr. Roh graduated with a degree in Biochemistry from La Sierra University and then went onto earn her DDS from Loma Linda University School of Dentistry. When not making children smile in the dentist office, Dr. Roh enjoys leading her church small group and serving through mission work near and far. While working with the local community is her passion she also feels blessed to have been able to travel the world serving on missions in Mexico, Bangladesh, China and Navajo, New Mexico.